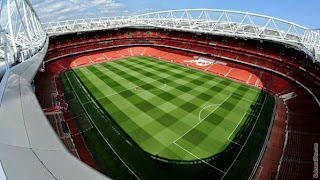 Neither Arsenal nor Manchester United will be claiming the EPL title this season but their quality of pitches have been adjudged the best by the Sports Turf Research Institute (STRI). The Emirates Stadium and Old Trafford high-quality pitches have won the Barclays Grounds Team of the Year 2014/2015 award. The EPL Grounds Team of the Year is compiled using marks from match officials and match delegates and marks are given for specific aspects of pitch and management performance. PreviousPhoto: Chelsea striker, Didier Drogba honoured for charity work in Africa.